But the rationale that I find most disturbing—despite, or perhaps because of, the fact that it’s rarely made explicit—is the idea that technology will increase our efficiency…at teaching the same way that children have been taught for a very long time. a deeper question: “What kinds of learning should be taking place in those schools?” If we favor an approach by which students actively construct meaning, an interactive process that involves a deep understanding of ideas and emerges from the interests and questions of the learners themselves, well, then we’d be open to the kinds of technology that truly support this kind of inquiry. Show me something that helps kids create, design, produce, construct—and I’m on board. Show me something that helps them make things collaboratively (rather than just on their own), and I’m even more interested—although it’s important to keep in mind that meaningful learning never requires technology, so even here we should object whenever we’re told that software (or a device with a screen) is essential. we shouldn’t confuse personalized learning with personal learning. The first involves adjusting the difficulty level of prefabricated skills-based exercises based on students’ test scores, and it requires the purchase of software. The second involves working with each student to create projects of intellectual discovery that reflect his or her unique needs and interests, and it requires the presence of a caring teacher who knows each child well. Ed tech is increasingly making its way even into classrooms for young children. And the federal government is pushing this stuff unreservedly: Check out the U.S. Office of Education Technology’s 2016 plan recommending greater use of “embedded” assessment, which “includes ongoing gathering and sharing of data,” plus, in a development that seems inevitable in retrospect, a tech-based program to foster a “growth mindset” in children. There’s much more in that plan, too—virtually all of it, as blogger Emily Talmage points out, uncannily aligned with the wish list of the Digital Learning Council, a group consisting largely of conservative advocacy groups and foundations, and corporations with a financial interest in promoting ed tech. Tomlin, P. (2009). A Matter of Discipline: Open Access, the Humanities, and Art History. Canadian Journal Of Higher Education, 39(3), 49-69. Recent events suggest that open access has gained new momentum in the humanities, but the slow and uneven development of open-access initiatives in humanist fields continues to hinder the consolidation of efforts across the university. Although various studies have traced the general origins of the humanities’ reticence to embrace open access, few have actually considered the scholarly practices and disciplinary priorities that shape a discipline’s adoption of its principles. This article examines the emergence, potential and actualized, of open access in art history. Part case study, part conceptual mapping, the discussion is framed within the context of three interlocking dynamics: the present state of academic publishing in art history; the dominance of the journal and self-archiving repository within open-access models of scholarly production; and the unique roles played by copyright and permissions in art historical scholarship. It is hoped that tracing the discipline-specific configuration of research provides a first step toward both investigating the identity that open access might assume within the humanities, from discipline to discipline, and explaining how and why it might allow scholars to better serve themselves and their audiences. Article processing charges ( APCs) are a central mechanism for funding open access (OA) scholarly publishing. We studied the APCs charged and article volumes of journals that were listed in the Directory of Open Access Journals as charging APCs. These included 1,370 journals that published 100,697 articles in 2010. The average APC was $906 U.S. dollars (USD) calculated over journals and $904 USD calculated over articles. The price range varied between $8 and $3,900 USD, with the lowest prices charged by journals published in developing countries and the highest by journals with high-impact factors from major international publishers. Journals in biomedicine represent 59% of the sample and 58% of the total article volume. They also had the highest APCs of any discipline. Professionally published journals, both for profit and nonprofit, had substantially higher APCs than journals published by societies, universities, or scholars/researchers. These price estimates are lower than some previous studies of OA publishing and much lower than is generally charged by subscription publishers making individual articles OA in what are termed hybrid journals. BACKGROUND The scholarly publishing paradigm is evolving to embrace innovative open access publication models. While this environment fosters the creation of high-quality, peer-reviewed open access publications, it also provides opportunities for journals or publishers to engage in unprofessional or unethical practices. LITERATURE REVIEW Faculty take into account a number of factors in deciding where to publish, including whether or not a journal engages in ethical publishing practices. Librarians and scholars have attempted to address this issue in a number of ways, such as generating lists of ethical/unethical publishers and general guides. DESCRIPTION OF PROJECT In response to growing faculty concern in this area, the Grand Valley State University Libraries developed and evaluated a set of Open Access Journal Quality Indicators that support faculty in their effort to identify the characteristics of ethical and unethical open access publications. NEXT STEPS Liaison librarians have already begun using the Indicators as a catalyst in sparking conversation around open access publishing and scholarship. Going forward, the Libraries will continue to evaluate and gather feedback on the Indicators, taking into account emerging trends and practices. Husain, S., & Nazim, M. (2013). Analysis of Open Access Scholarly Journals in Media & Communication. DESIDOC Journal Of Library & Information Technology, 33(5), 405-411.
he paper gives an account of the origin and development of the Open Access Initiative and explains the concept of open access publishing. It also highlight various facets related to the open access scholarly publishing in the field of Media & Communication on the basis of data collected from the most authoritative online directory of open access journals, i.e., Directory of Open Access Journals (DOAJ). The DOAJ covers 8492 open access journals of which 106 journals are listed under the subject heading ‘Media & Communication’. Most of the open access journals in Media & Communication were started during late 1990s and are being published from 34 different countries on 6 continents in 13 different languages. More than 80 % open access journals are being published by the not-for-profit sector such as academic institutions and universities. Reed, K. (2014). Awareness of Open Access Issues Differs among Faculty at Institutions of Different Sizes. 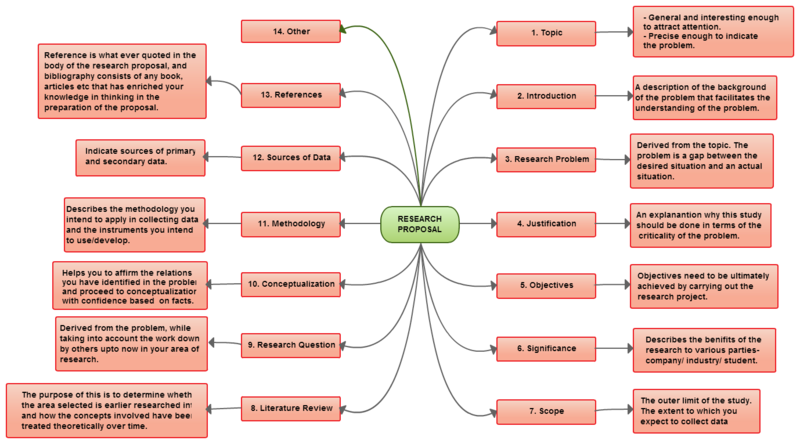 Evidence Based Library & Information Practice, 9(4), 76-77. Armbruster, C. (2008). Cyberscience and the Knowledge-Based Economy. Open Access and Trade Publishing: From Contradiction to Compatibility with Non-Exclusive Copyright Licensing. Policy Futures In Education, 6(4), 439-452. Open source, open content and open access are set to fundamentally alter the conditions of knowledge production and distribution. Open source, open content and open access are also the most tangible result of the shift towards e-science and digital networking. Yet, widespread misperceptions exist about the impact of this shift on knowledge distribution and scientific publishing. It is argued, on the one hand, that for the academy there principally is no digital dilemma surrounding copyright and there is no contradiction between open science and the knowledge-based economy if profits are made from non-exclusive rights. On the other hand, pressure for the “digital doubling” of research articles in open access repositories (the “green road”) is misguided and the current model of open access publishing (the “gold road”) has not much future outside biomedicine. Commercial publishers must understand that business models based on the transfer of copyright have not much future either. Digital technology and its economics favour the severance of distribution from certification. What is required of universities and governments, scholars and publishers, is to clear the way for digital innovations in knowledge distribution and scholarly publishing by enabling the emergence of a competitive market that is based on non-exclusive rights. This requires no change in the law but merely an end to the praxis of copyright transfer and exclusive licensing. The best way forward for research organisations, universities and scientists is the adoption of standard copyright licences that reserve some rights, namely Attribution and No Derivative Works, but otherwise will allow for the unlimited reproduction, dissemination and re-use of the research article, commercial uses included. Kuth, M. (2012). ‘Deswegen wird kein Buch weniger verkauft!’ Hybride Publikation von MALIS Praxisprojekten an der Fachhochschule Köln. (German). Bibliothek Forschung Und Praxis, 36(1), 103-109. The article reports on a library and information science project at the Fachhochschule Köln (University of Applied Sciences, Cologne), Germany, to produce a hybrid, print and online research publication, “MALIS Praxisprojekte 2011,” which is available at http://www.b-i-t-online.de/daten/bitinnovativ.php#band35. It discusses the publishing process from writing to distribution and the implications of combining open access and for-fee publishing models for value chains in the publishing industry. Riedel, S. (2012). Distanz zu Wissenschaftlern und Studenten verringern. (German). Bub: Forum Bibliothek Und Information, 64(7/8), 491-492. A report from the International Bielefeld Conference on April 24-26, 2012 in Bielefeld, Germany is presented. Presentations discussed include the role of information storage and retrieval in libraries, Open Access publishing and content licenses, and the increased automation of the Bielefeld University library. Ramirez, M., Dalton, J. j., McMillan, G. g., Read, M., & Seamans, N.. (2013). Do Open Access Electronic Theses and Dissertations Diminish Publishing Opportunities in the Social Sciences and Humanities? Findings from a 2011 Survey of Academic Publishers. College & Research Libraries, 74(4), 368-380.
n increasing number of higher education institutions worldwide are requiring submission of electronic theses and dissertations (ETDs) by graduate students and are subsequently providing open access to these works in online repositories. Faculty advisors and graduate students are concerned that such unfettered access to their work could diminish future publishing opportunities. This study investigated social sciences, arts, and humanities journal editors’ and university press directors’ attitudes toward ETDs. The findings indicate that manuscripts that are revisions of openly accessible ETDs are always welcome for submission or considered on a case-by-case basis by 82.8 percent of journal editors and 53.7 percent of university press directors polled. The author reflects on the use of the Open Access (OA) publishing for publications. She states that in OA publishing, an un-blinded peer review format is used wherein the authors’ names are known to the reviewer. She mentions that the countries such as Great Britain and Canada passed legislations which mandates the use of OA journals in university publications and health research. She also relates the impact of the changes in publishing to the print versions of journals. Deutsche Forschungsgemeinschaft, (2010). Freier Zugang zu Forschungsergebnissen. Bub: Forum Bibliothek Und Information, 62(1), 7. The article reports that the research society Deutsche Forschungsgemeinschaft (DFG) has expanded their support of open access publishing so that universities can now request that the DFG finance publication of their scientific works in open access journals. Ottina, D. (2013). From Sustainable Publishing To Resilient Communications. Triplec (Cognition, Communication, Co-Operation): Open Access Journal For A Global Sustainable Information Society, 11(2), 604-613. Stevens, L. M. (2013). From the Editor: Getting What You Pay For? Open Access and the Future of Humanities Publishing. Tulsa Studies In Women’s Literature, 32(1), 7-21. The article discusses the potential impact of the open access publishing movement on humanities scholarship and publishing. It is suggested that although the free circulation of knowledge is a positive goal, scholars and activists must be careful not to undermine the value of the scholarly and editorial labor which makes quality humanities publications possible. The author also suggests that authors who post their articles for open access or on university commons should pay journals a fee. Thatcher, S. (2009). From the University Presses–Open Access and the Future of Scholarly Communication. Against the Grain, 21(5), 78-81. The article presents a speech by the author, delivered on September 23, 2009 as part of the Andrew Neilly Lecture Series at the University of Rochester, in which he discussed open access publishing in terms of university presses and scholarly communication. He presented an overview of the history of such issues, and a forecast of likely future developments. Dunham, G., & Walters, C. (2014). From University Press to the University’s Press: Building a One-Stop Campus Resource for Scholarly Publishing. Against The Grain, 26(6), 28-30. The article examines the Office of Scholarly Publishing (OSP) at Indiana University (IU) in Bloomington, Indiana. Topics discussed include the role played in the OSP by Indiana University Press (IU Press), the role played by IUScholarWorks (IUSW), which is an open access publishing initiative administered by IU Libraries, and the location of the university’s publishing activities, which is the Herman B. Wells Library at IU. The movement for open access to science seeks to achieve unrestricted and free access to academic publications on the Internet. To this end, two mechanisms have been established: the gold road, in which scientific journals are openly accessible, and the green road, in which publications are self-archived in repositories. The publication of the Finch Report in 2012, advocating exclusively the adoption of the gold road, generated a debate as to whether either of the two options should be prioritized. The recommendations of the Finch Report stirred controversy among academicians specialized in open access issues, who felt that the role played by repositories was not adequately considered and because the green road places the burden of publishing costs basically on authors. The Finch Report’s conclusions are compatible with the characteristics of science communication in the UK and they could surely also be applied to the (few) countries with a powerful publishing industry and substantial research funding. In Spain, both the current national legislation and the existing rules at universities largely advocate the green road. This is directly related to the structure of scientific communication in Spain, where many journals have little commercial significance, the system of charging a fee to authors has not been adopted, and there is a good repository infrastructure. As for open access policies, the performance of the scientific communication system in each country should be carefully analyzed to determine the most suitable open access strategy. Bargheer, M., & Schmidt, B. (2008). Göttingen University Press: Publishing services in an Open Access environment. Information Services & Use, 28(2), 133-139. The article presents a round table discussion that focuses on publishing services in an open access environment that are offered by Göttingen University Press. Begun as an additional service for the Göttingen State and University Library repository, it offers a publication consulting service on behalf of the university. It covers diverse topics such as sciences, life sciences, and humanities. Jubb, M. (2011). Heading for the Open Road: Costs and Benefits of Transitions in Scholarly Communications. Liber Quarterly: The Journal Of European Research Libraries, 21(1), 102-124. This paper reports on a study — overseen by representatives of the publishing, library and research funder communities in the UK — investigating the drivers, costs and beneﬁts of potential ways to increase access to scholarly journals. It identiﬁes ﬁve different but realistic scenarios for moving towards that end over the next ﬁve years, including gold and green open access, moves towards national licensing, publisherled delayed open access, and transactional models. It then compares and evaluates the beneﬁts as well as the costs and risks for the UK. The scenarios, the comparisons between them, and the modelling on which they are based, amount to a benefit-cost analysis to help in appraising policy options over the next five years. Our conclusion is that policymakers who are seeking to promote increases in access should encourage the use of existing subject and institutional repositories, but avoid pushing for reductions in embargo periods, which might put at risk the sustainability of the underlying scholarly publishing system. They should also promote and facilitate a transition to gold open access, while seeking to ensure that the average level of charges for publication does not exceed circa £2,000; that the rate in the UK of open access publication is broadly in step with the rate in the rest of the world; and that total payments to journal publishers from UK universities and their funders do not rise as a consequence. Hawkins, K. K. (2014). How We Pay for Publishing. Against The Grain, 26(6), 35-36. The article examines the financial aspects of scholarly publishing. Topics discussed include the impact of these financial aspects on academic libraries and university presses, the concept of open access publishing and the financial considerations related to it, and the use of article processing charges (APC) in open access publishing. The article focuses on the investigation of Jeffrey Beall, academic librarian and university researcher at the University of Colorado in Denver regarding the practices of open-access publishing. It says that Beall who became a watchdog for open-access publishers criticizes them on his blog Scholarly Open Access. Beall adds that he was not prepared for the exponential growth of the occurrence of questionable publishers. The insights of publishers on the approach of Beall are also discussed. 2012 was basically the year of the predatory publisher; that was when they really exploded,” says Beall. He estimates that such outfits publish 5–10% of all open-access articles. Wilson, K. k. (2013). Librarian vs. (Open Access) Predator: An Interview with Jeffrey Beall. Serials Review, 39(2), 125-128. As new models of scholarly communication emerge, librarians and libraries have responded by developing and supporting new methods of storing and providing access to information and by creating new publishing support services. This article will examine the roles of libraries and librarians in developing and supporting open access publishing initiatives and services in higher education. Canadian university libraries have been key players in the development of these services and have been bolstered by support from librarians working through and within their professional associations on advocacy and advancement initiatives, and by significant funding from the Canadian Foundation for Innovation for the Synergies initiative–a project designed to allow Canadian social science and humanities journals to publish online. The article also reflects on the experiences of three librarians involved in the open access movement at their libraries, within Canadian library associations, and as creators, managers, and editors in two new open access journals in the field of library and information studies: Evidence-based Library and Information Practice published out of the University of Alberta; and Partnership: the Canadian Journal of Library and Information Practice and Research hosted by the University of Guelph. As active participants in the creation of open access content within their own field, the authors are able to lend their experience to faculty in other disciplines and provide meaningful and responsive library service development. This article reports on a study of academic librarians’ views of their work and possibilities regarding support for researchers’ publishing. Institutional repositories and Open Access are areas being dealt with in particular. Methods used are highly qualitative; data was gathered at two Swedish university libraries over a six month period through focus group interview sessions and personal logs by informants. Findings indicate that attitudes are often in collision with practicalities in the daily work in libraries. Even though they have a high degree of knowledge and awareness of scholarly publication patterns, librarians often feel insecure in the approach of researchers. There is a felt redirection in the focus of academic librarianship, from pedagogical information seeking tasks towards a more active publication support, a change which also includes a regained prominence for new forms of bibliographical work. Although there are some challenges, proactive attitudes among librarians are felt as being important in developing further support for researchers’ publishing. Bauer, B., & Stieg, K. (2010). OPEN ACCESS PUBLISHING IN AUSTRIA: DEVELOPMENT AND FUTURE PERSPECTIVES. Bulletin Of The Transilvania University Of Brasov, Series IV: Philology & Cultural Studies, 3(52), 271-278. The following article provides an overview of Open Access Publishing in Austria in 2010. First of all, the participation of Austrian institutions in signing Open Access declarations and Open Access events in Austria are presented. Secondly, the article shows the development of both the Green Road to Open Access (repositories) as well as the Golden Road (Open Access Journals) in Austria. The article also describes the Open Access policies of the most important funding agency in Austria, the biggest university of the country as well as Universities Austria, the association of the 21 public universities in Austria. Finally, the paper raises the question of how Open Access is to be financed and explains the legal framework conditions for Open Access in Austria. Nariani, R. r., & Fernandez, L. l. (2012). Open Access Publishing: What Authors Want. College & Research Libraries, 73(2), 182-195. Campus-based open access author funds are being considered by many academic libraries as a way to support authors publishing in open access journals. Article processing fees for open access have been introduced recently by publishers and have not yet been widely accepted by authors. Few studies have surveyed authors on their reasons for publishing open access and their perceptions of open access journals. The present study was designed to gauge the uptake of library support for author funding and author satisfaction with open access publishing. Results indicate that York University authors are increasingly publishing in open access journals and are appreciative of library funding initiatives. The wider implications of open access are discussed along with specific recommendations for publishers. An introduction is presented to the articles within the issue on the theme of open access publishing in Great Britain during the early 2010s, including topics on the economic aspects of and the British government’s policy on open access publishing and its impact on university libraries. recent endorsement of the Finch Report (officially titled ‘Accessibility, sustainability, excellence: how to expand access to research publications: Report of the Working Group on Expanding Access to Published Research Findings’), has made open access a central concern for all researchers in UK higher education. The underlying economics and politics of journal publication arc now under scrutiny as never before. an author-pays version of ‘gold’ open access publishing, where costs of publishing were shifted from the customer (university libraries) onto the producer (scholars), was seen by many as a way of implementing open access without disturbing the status quo. Instead of purchasing research once it has been published, universities will pay for research to be published. While this model ensures an income stream for publishers (and it always costs something to publish), it reconfigures the relationship between scholars, their research and their institution. The so-called ‘green’ route to publishing, where articles are made open access after their initial publication in a traditional,subscription-based journal, usually by means of deposit in an institutional repository, has focused attention on the embargo periods demanded by publishers. Leptin, M. (2012, March 16). Open Access–Pass the Buck. Science. p. 1279. Peters, M. A. (2009). Open Education and the Open Science Economy. Yearbook Of The National Society For The Study Of Education, 108(2), 203-225. Openness as a complex code word for a variety of digital trends and movements has emerged as an alternative mode of “social production” based on the growing and overlapping complexities of open source, open access, open archiving, open publishing, and open science. This paper argues that the openness movement with its reinforcing structure of overlapping networks of production, access, publishing, archiving, and distribution provide an emerging architecture of alterative educational globalization not wedded to existing neoliberal forms. The open education movement and paradigm has arrived: it emerges from a complex historical background and its futures are intimately tied not only to open source, open access and open publishing movements but also to the concept of the “open society” itself which has multiple, contradictory, and contested meanings. This paper first theorizes the development and significance of “open education” by reference to the Open University, OpenCourseWare (OCW) and open access movements. The paper takes this line of argument further, arguing for a conception of “open science economy” which involves strategic international research collaborations and provides an empirical and conceptual link between university science and the global knowledge economy. Since 2012, the Team Bibliometrics in the Electronic Publishing Group at the SLUB Dresden has been supporting scientists but also institutes at the Technical University Dresden in bibliometric issues. Open access (OA) publishing is one of the main topics. The recent analysis identified OA journals in the field of medicine indexed in the Web of Science (WoS) database on the basis of the Directory of Open Access Journals. Subsequently, the journal titles were examined according to their importance in the selected subject categories and the geographical distribution of editorial countries in the first part. The second part dealt with the articles in these journals and the citations contained therein. The results show an amount of 9.7 per cent of OA journals in relation to the total amount of all journals in the selected WoS subject categories. 14 per cent could be assigned to the upper quartile Q1 (Top 25 per cent). For most of the OA journals Great Britain was determined as the publishing country. The analysis of articles with German participation reveals interesting methods to obtain information in the participating authors, institutions, networks and their specific subjects. The result of citation analysis of these articles shows, that articles from traditional journals are the most cited ones. With the illustration of a best practice example for an implementation of open access in a scientific institution, the paper will be useful in fostering future open access projects. Design/methodology/approach – The paper starts with a brief overview of the existing situation of open access in Germany. The following report describes the results of a best practice example, added by the analysis of a survey on the position about open access by the scientists at the University of Konstanz. Findings – The dissemination of the advantages of open access publishing is fundamental for the success of implementing open access in a scientific institution. For the University of Konstanz, it is shown that elementary factors of success are an intensive cooperation with the head of the university and a vigorous approach to inform scholars about open access. Also, some more conditions are essential to present a persuasive service: The Library of the University of Konstanz offers an institutional repository as an open access publication platform and hosts open journal systems for open access journals. High-level support and consultation for open access publishing at all administrative levels is provided. The integration of the local activities into national and international initiatives and projects is pursued for example by the joint operation of the information platform open-access.net. Originality/value – The paper offers insights in one of the most innovative open access projects in Germany. The University of Konstanz belongs to the pioneers of the open access movement in Germany and is currently running a successful open access project. The author argues in favor of open access publishing, contending that it will bridge university academics and academic scholarship’s relationship with the public sphere. An overview of open access publishing’s impact on academic journals, including in regard to periodical subscriptions, membership fees and the discourse on history within society, is provided. An overview of digital access to open access publishing is also provided. crisis of authorship has centred on the charging of Article Processing Charges (APCs) and how best to accommodate the shift from pay-to-read to pay-to-publish models. Pochoda, P. (2008). Scholarly Publication at the Digital Tipping Point. Journal Of Electronic Publishing, 11(2), 8. The article presents information on a joint publishing project “Digitalculturebooks” between the University of Michigan Press and the Scholarly Publishing Office of Michigan University Library in Michigan. The aim of the project was to publish books about new media in a printed version and an open access (OA) online version. It is mentioned that the project not only intended to publish innovative and accessible work about the social, cultural, and political impact of new and to collect data about the variation in reading habits and preferences across different scholarly reading communities, but also to explore the opportunities and the obstacles involved in a press working in a partnership with a technologically abled library unit with a business model. Scientific Publishing: the Dilemma of Research Funding Organisations. (2009). European Review, 17(1), 23-31. Present changes in scientific publishing, especially those summarised by the term ?Open Access? (OA), may ultimately lead to the complete replacement of a reader-paid to an author, or funding-paid, publication system. This transformation would shift the financial burden for scientific publishing from the Research Performing Organisations (RPOs), particularly from scientific libraries, universities, etc, to the Research Funding Organisations (RFOs). The transition phase is difficult; it leads to double funding of OA publications (by subscriptions and author-sponsored OA) and may thus increase the overall costs of scientific publishing. This may explain why ? with a few exceptions ? RFOs have not been at the forefront of the OA paradigm in the past. In 2008, the General Assembly of EUROHORCs, the European organisation of the heads of research councils, agreed to recommend to its member organisations at least a minimal standard of Open Access based on the Berlin Declaration of 2003 (green way of OA). In the long run, the publishing system needs some fundamental changes to reduce the present costs and to keep up its potential. In order to design a new system, all players have to cooperate and be ready to throw overboard some old traditions, lovable as they may be. In this article the author discusses economic aspects of alternative economic models for scholarly publishing with reference to a report by J. Houghton and C. Oppenheim. The author present information on the economic models discussed in Houghton and Oppenheim report to the Great Britain’s Joint Information Systems Committee (JISC). He discusses the open access (OA) publishing and suggests that mandates should be made by universities for OA. I cannot respond to their paper in either of these roles. Instead, I propose to respond both as an academic who conducts research, writes about it and tries to get it published, and as a researcher interested in scholarly communication, publishing and open access. To continue with a system (of scholarly publishing or anything else) without regularly investigating and analyzing the alternatives, is neither common sense nor scholarly. Taking as an example an open-access journal with a single editor, this article discusses the various configurations of rights agreements used by the University of Michigan Library throughout the evolution of its publishing operation, the advantages of the various models, and the reasons for moving from one to another. Universities have always been one of the key players in open access publishing and have encountered the particular obstacle that faces this Green model of open access, namely, disappointing author uptake. Today, the university has a unique opportunity to reinvent and to reinvigorate the model of the institutional repository. This article explores what is not working about the way we talk about repositories to authors today and how can we better meet faculty needs. More than an archive, a repository can be a showcase that allows scholars to build attractive scholarly profiles, and a platform to publish original content in emerging open-access journals. Serials Review 2008; 34:21-26. Collister, L. B., Deliyannides, T. S., & Dyas-Correia, S. (2014). The Library as Publisher. Serials Librarian, 66(1-4), 20-29.
quality, career advancement, indexing, and supportive services associated with conventional scholarly literature. OA is not Open Source, which applies to computer software, nor Open Content, which applies to non-scholarly content, nor Open Data, which is a movement to support sharing of research data, nor free access, which carries no monetary charges for access, yet all rights may be reserved. Changing laws, like the Digital Millennium Copyright Act (DMCA) and the Research Works Act, as well as the Google Books copyright settlement and its aftermath, have also had an important impact on scholarly communication. over 150 universities around the world mandate OA deposits of faculty works and the Directory of Open Access Journals (DOAJ) lists 9,437 OA journals in 119 countries.The Directory of Open Access Repositories (OpenDOAR) lists 2,284 open archives in 103 countries. Potvin, S. (2013). The Principle and the Pragmatist 1  The title draws on David Lewis’s comment: “Open access journals claim two advantages: the first is pragmatic and the second is principled.” See David W. Lewis, “The Inevitability of Open Access,” College &Research Libraries 73:5 (September 2012): 493–506. : On Conflict and Coalescence for Librarian Engagement with Open Access Initiatives. Journal Of Academic Librarianship, 39(1), 67-75. This article considers Open Access (OA) training and the supports and structures in place in academic libraries in the United States from the perspective of a new librarian. OA programming is contextualized by the larger project of Scholarly Communication in academic libraries, and the two share a historical focus on journal literature and a continued emphasis on public access and the economics of scholarly publishing. Challenges in preparing academic librarians for involvement with OA efforts include the evolving and potentially divergent nature of the international OA movement and the inherent tensions of a role with both principled and pragmatic components that serves a particular university community as well as a larger movement. Bastos, F., Vidotti, S., & Oddone, N. (2011). The University and its libraries: Reactions and resistance to scientific publishers. Information Services & Use, 31(3/4), 121-129. Simon-Ritz, F. (2012). Warten auf die Wissenschaftsschranke. Bub: Forum Bibliothek Und Information, 64(9), 562-564. This editorial provides an overview of journey of the journal American Journal of Health Promotion. This journal would continue to be allowed to publish these articles but wanted me to understand the public would also have free access to them online. This university was following the lead of the Harvard Law School Open Access Policy, which was adopted by faculty at Harvard and Stanford in 2008, at MIT in 2009, and at many other prestigious universities and colleges since then. The traditional publishers want to maximize subscriber satisfaction so they can sell more subscriptions and minimize the number of accepted manuscripts to reduce the cost of printing, whereas the fee-based online publishers want to increase the number of accepted manuscripts to maximize publishing fees. The cost of this subscription is $895/y. The subscription must be in place before the article is typeset. Armato, D. (2012). What Was a University Press?. Against The Grain, 24(6), 58-62. Hall, R. (2014). You Say You Want a Publishing Revolution. Progressive Librarian, (43), 35-46.
information, it can be surmised that library publishing initiatives—including open access journals and institutional repositories—have contributed greatly. provide access to collections of games. p. 357 Another upcoming area of gaming in libraries is gamification. Gamification is the application of game design elements to a nongame setting ðDeterding et al. 2011Þ. University libraries are increasingly the ONLY place on campus that has quiet spaces, since cell-phone conversations are ubiquitous. I think a professional shushher would be a nice touch to any library. Either that, or zero-talking floors and okay-with-some-noise-floors alternating. Today university/academic libraries have “all-inclusive services” and they are places for social life, too. In my point of view it is very important for libraries to be always ready for changes, to be regenerative, and to find new ways including the needs of next (Y, Z?) generation. A library is a third place, “a place to be”. And study. With librarians behind the scenes. I note many university libraries have become bistros complete with internet access and quiet rooms for students and student teams to meet and work. …And, of course, there are books and databases. Whether students attend to those assets is an open question for me. I had the opportunity to spend some time in a local high school library yesterday. It was a hub of activity with a class in session, students browsing stacks, small group activities, and numerous meetings. I thought it was great to see so many students collaborating and having fun. The students were very engaged. Some experts recommend that the most valuable things students can learn to do is work on problem-solving with other people who come from diverse backgrounds. Libraries may need less space for stacks as printed books and periodicals are replaced with digital storage, but the need for meeting rooms and collaborative study areas may increase. And of course a coffee shop on the premises definitely helps. What is the bearing of a library as a Learning Resource Center if not significant to the students. I think it speaks so much on the learning impact not only by the students together with the faculty. This is also the reason why the area of Library is included in institutional/programs accreditation. getting an error message when uploading a recording on MediaSpace that says “Error while uploading: XPath expression exception evaluating result” and then gives you a choice to “Retry” or “Exit”. Thanks Kathy. I agree it is a great system and seems to be very reliable and I like working with it as it is very user friendly. However, in this last week now I have seen this error message come up twice for faculty and I would like answers and I haven’t gotten any so that is why I sent it out on the listserve today to see if anybody else has seen the error and find out what they know. We have been using Tegrity for the last 6-8 years and it can be a real pain to work with (as well as very expensive) so I am trying to wean the faculty off of Tegrity on onto MediaSpace, but if word gets out that MediaSpace is throwing them error messages it just make the hill that much steeper for me in this uphill battle to get faculty to try something new. Hi Tim – I have not seen this error – I just tried a couple videos, one an mp4 and the other an mov file and they uploaded and processed just fine. We have several people using MediaSpace with very little issues so I guess when you run into these issues – is to email Todd Digby and turn in a HD ticket as soon as you get notice of the issue. Even with these strange things that periodically happen – I am thankful for this system, it has been a long time in coming. Please take it from me, who managed media streaming servers locally for five years, it was a royal pain and not an easy service to keep functioning at all times. Has anyone else experienced getting an error message when uploading a recording on MediaSpace that says “Error while uploading: XPath expression exception evaluating result” and then gives you a choice to “Retry” or “Exit”. Hitting “Retry” seems to do nothing and I have not selected “Exit”. The recording does finish uploading and the message comes up saying it finished uploading and then the recording seems to play normally but the message box does not go away unless you close it out. I would like to know what this message is about and what I am supposed to tell faculty when this happens and will the recording continue to upload properly and playback properly every time. I any pushing hard to get faculty moved over to using MediaSpace and this is a little unsettling when I tell them it is a reliable recording/playback tool and then they get this message and I don’t know what to tell them except wait and it should end up fine. You are currently subscribed to d2lcampustrainers as: kathy.grady@nhcc.edu. You are currently subscribed to d2lcampustrainers as: pmiltenoff@stcloudstate.edu.